A full Flash application rendered in ugly East Asian Latin alphabet set that uses a slow loading dialogue box to give URLs to our friends that lead to a Flash gallery is just so not 2010s. At the start of the CP+ Camera and Photo Imaging Show 2013 this week in Yokohama, Japan, Sigma Photo announced 4 new lenses. 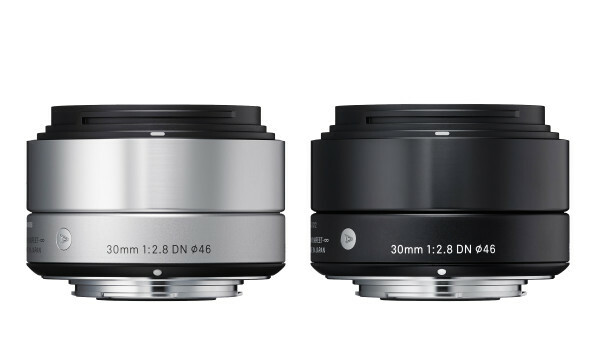 First lens is a redesigned version of its original much heralded and popular Sigma 30mm f/1.4 DC HSM lens for DX cameras from Nikon, cropped sensor DSLRs from Canon, and of course Sigma’s own lineup of DSLRs. The new 30mm f/1.4 is also compatible with Sigma’s new USB Dock, which will enable firmware updates and focusing adjustments, is expected to be available in coming months. The Sigma 30mm f/1.4 gives cropped sensor DSLR users an additional option for fast standard focal length lenses (about 45mm equivalent). 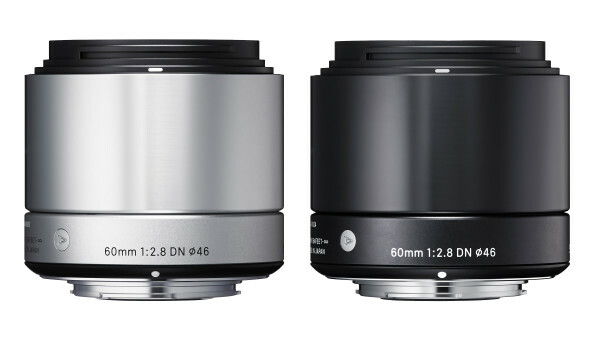 The 60mm f/2.8 DN is a completely new lens for the Micro 4/3s mount as well as the Sony E system mount. Featuring a 120mm f/2.8 equivalent on Micro 4/3s cameras and 90mm f/2.8 equivalent on Sony E-mount cameras, this lens complements Sigma’s own line of short fast primes for the m4/3 and E mount systems, which now comes with redesigned 19mm f/2.8 DN and the reworked 30mm f/2.8 DN lenses. 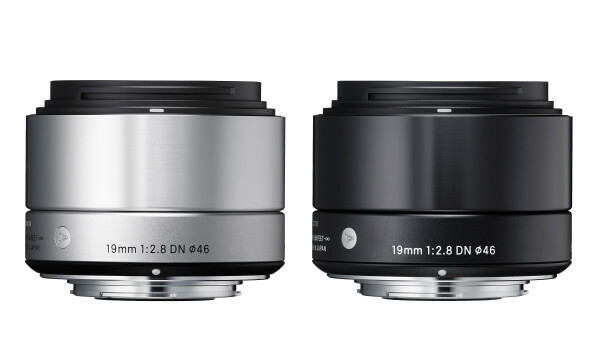 On m4/3 cameras, the Sigma 19mm f/2.8 DN features an equivalent focal length of 38mm f/2.8 and the Sigma 30mm f/2.8 gives an equivalent of 60mm f/2.8. On Sony E mount cameras, the 19mm gives a very versatile 28.5mm f/2.8 equivalent and the 60mm f/2.8 gives an equivalent of 90mm f/2.8. Availability dates are not known at press time. Oh hey, look. Tamron, king of the superzoom lenses, finally crashes the Micro Four Thirds party with a… superzoom lens. 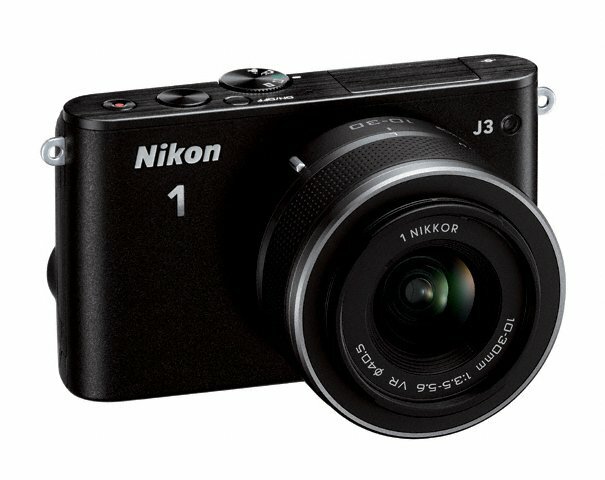 The new 14-150 f/3.5-5.8 Di III VC (so, Di IV should cover Nikon CX?) looks set to be a nice superzoom, with a quiet stepping motor, Vibration Compensation that will be a bonus for Panasonic users, and a metal lens barrel exterior. I hope it does not mean the internal is made out of cheap plastic though. More fun anecdotes: I remember using the Panasonic 14-140mm f/4-5.8 back with the GH1 back then, thanks to Panasonic selling the camera with that lens. It was not very small, fairly heavy, and it just was not something that endeared to me. I sold it within a month. I still do have a decent photo taken with it somewhere in the bowels of my hard drive though. 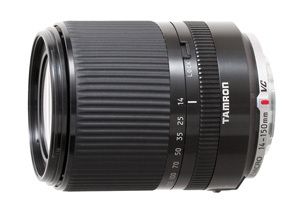 As always, a lens like this lives and dies by its price, and unfortunately, Tamron has no ship date or pricing information at press time. We will have to wait to see before we can determine if it is good value for casual shooters. 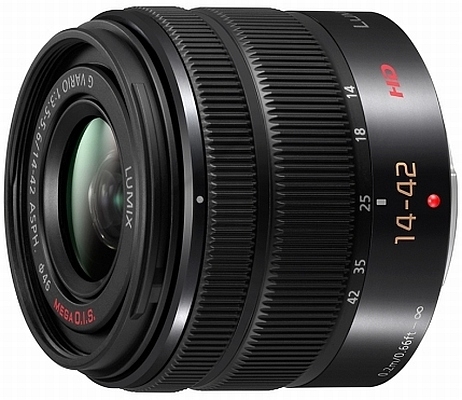 So, as part of the CP+ show this coming week, Panasonic has announced a new kit lens, the Vario G 14-42mm f/3.5-5.6 II. It features a few new upgrades, like a return to the metal mount (unless that is silver coloured plastic peeking out at the back there), a much smaller size compared to the previous two versions of the kit lens. Oh, and don’t forget the two aspherical elements in there. Panasonic wants you to know that. Fun anecdote: I remember holding the first 14-45 lens just a few years ago when the Panasonic G1 first came out. I found it irresistibly cute back then. Funny how it seems so big now. 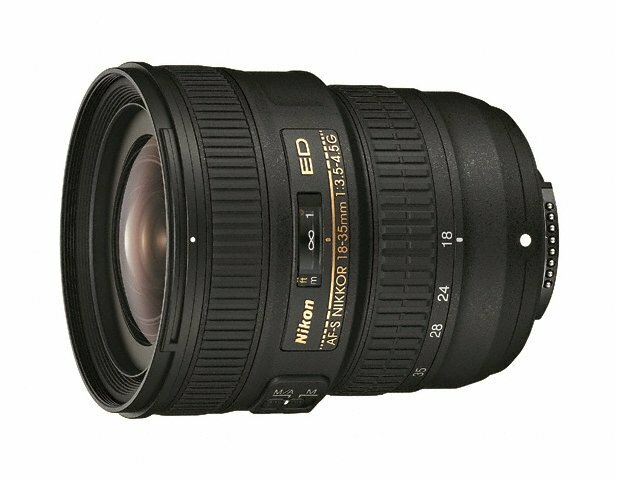 Nikon has announced two new lenses at CP+ Camera and Photo Imaging Show 2013 – the AF-S 18-35mm f/3.5-4.5G ED and the AF-S 800mm f/5.6E FL ED VR. The AF-S 18-35mm f/3.5-4.5G ED is an update of the older non-AFS version of the same zoom range, targetted at FX (full-frame) cameras like the D600. Compact and lightweight, it offers photographers an affordable wide-angle zoom solution for landscape and other wide-angle needs. The lens will be available for US$749.95 from Mar 2013. The AF-S 800mm f/5.6E FL ED VR (what a mouthful!) is a super-telephoto lens is Nikon’s longest fixed focal length lens. Featuring a maximum aperture of f/5.6, it gives photographers the reach required for sports and wildlife photography. The lens also comes with a AF-S TC800-1.25E ED teleconverter designed exclusively for it. This teleconverter increases the focal length of the lens to 1000mm when used with FX bodies (1500mm on DX bodies), with a maximum aperture of f/7.1, giving full AF performance on newer bodies like the D600, D4 and D800 series. The lens + teleconverter combo will be available for $17,899.95 from Apr 2013. CK: It’ll be fun to try this lens + teleconverter combo on my Nikon 1 V1 with the FT-1 adaptor. This will give an effective focal length of a whopping 2,700mm! I have to say, ever since PMA merged with CES, the cameras announced seem to be less impactful. It looks like the biannual Photokina and the late January CP+ shows are the ones to look forward to now..
David: News of Fujifilm’s new X100S, a seminal update to the venerable game changer (IMHO) hit the web a few hours earlier than the NDA scheduled due to a uhmmm… accidental leak on Fuji’s UK website (riiiigghhht), but rumors of it have been floating around the net a few days before, so it wasn’t a complete shocker to me. But what a camera…. what an update. Rather than go through all the specs laboriously one by one (other sites do it better, e.g. 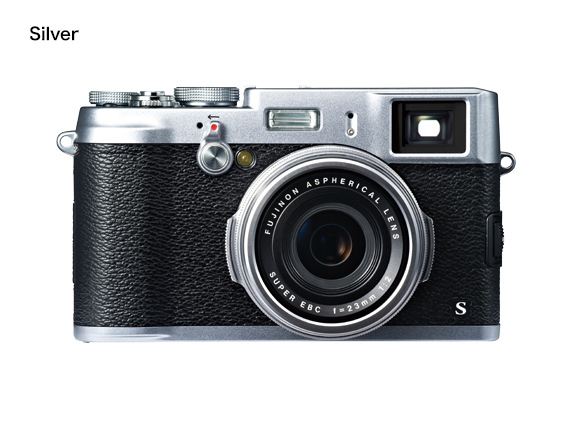 Fuji’s own X-series website), as a X100 fan and active user, I want to highlight the key features of this update which may have eluded those of you unfamiliar with the X100. This is NOT a news update, but think of it as my ode to one of the most enjoyable cameras I’ve ever used. So, here goes…..
As some of you might know, I’m rather looking forward to the Panasonic GH3, and am buzzed that there’s a Micro Four Thirds camera that attempts to approach a pro-level DSLR in operation and handling. Of course, this has a downside. Part of that means the camera is going to be bigger. Some say it’s too big; approaching that of a mid-level DSLR. To better illustrate the increase in size, here is an image with the various recent Micro Four Thirds cameras by Panasonic set to scale. Personally, I think the size is still fine when taken as a system camera, as the main weight in a system has always come from the lenses.